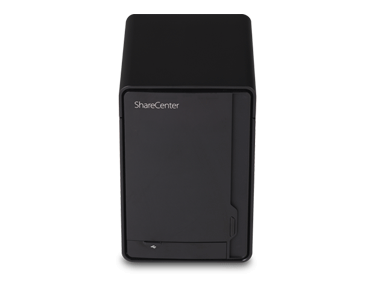 This ShareCenter storage device has a storage capacity of up to 4TB (greater capacities supported with future firmware release), so everyone on your network can back up and share their documents, music, photos, videos to a central location and access them remotely over the Internet right out of the box. Plus, it features a built-in Web File and FTP server so you can remotely access your files over the Internet. The DNS-320 includes a built-in Web File server and FTP server to make accessing files remotely, over the Internet, a breeze. The FTP server will come in handy when you need to share a file too big to e-mail to a friend. Not quite the handyman? That’s ok. You can insert an additional hard drive without using any tools or attaching any cables. Hard drive(s) not included with DNS-320 model. DNS-320-110 includes 1 x 1TB SATA drive. 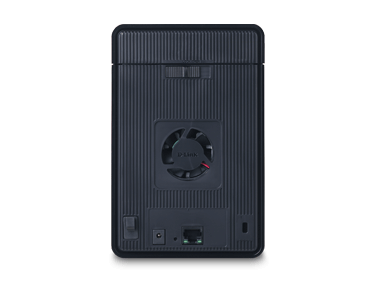 An internal 3.5" SATA drive is required to store or share files and must be formatted before use. RAID 0 and RAID 1 require the use of two (2) SATA drives. To avoid drive incompatibility in RAID 0 or RAID 1 operation, use SATA drives from the same manufacturer. Formatted drive capacity for RAID 1 operation is dependent on the drive capacity of the lower-sized drive. May not work with older generation SATA drives. For a list of SATA drives that have been tested to work with the DNS-320 visit the FAQs section. Use of an FTP Server over the Internet does not provide secure or encrypted transmissions, unless the end user enables SSL authentication in their FTP client. D-Link cannot guarantee full compatibility or proper playback with all codecs. Playback capability depends on the codec support of the UPnP AV media player. 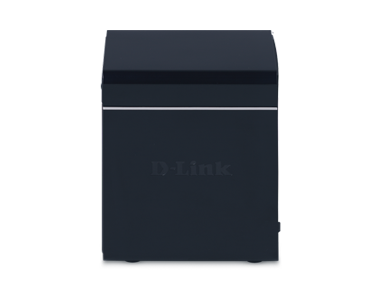 D-Link makes no warranty as to the availability, reliability, functionality, and operation of the iTunes Server feature. *3-Year Limited Warranty available only in the USA and Canada. **Computer must adhere to Microsoft's recommended System Requirements. All references to speed and range are for comparison purposes only. Product specifications, size, and shape are subject to change without notice, and actual product appearance may differ from that depicted on the package. See inside package for warranty details. Don’t worry - we hate spam too. And we’ll never share your email address with anyone. Learn more. D-Link, the D-Link logo, ShareCenter and the ShareCenter logo are trademarks or registered trademarks of D-Link Corporation or its subsidiaries in the United States or other countries.